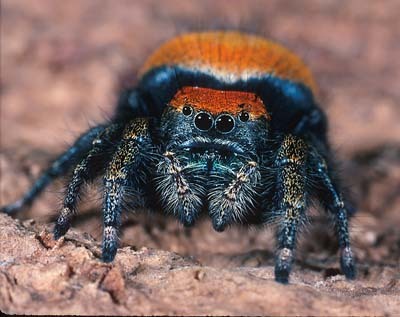 Jumping Spiders hunt their prey on vegetation and in open sunny areas. They stalk their prey like a cat, finally capturing it with a sudden leap. Their large, forward facing eyes afford them the finest vision of any arthropod.